Pokemon Go is no stranger when it comes to using any advantage it can to win over new fans, and that includes taking the anime for all its worth. 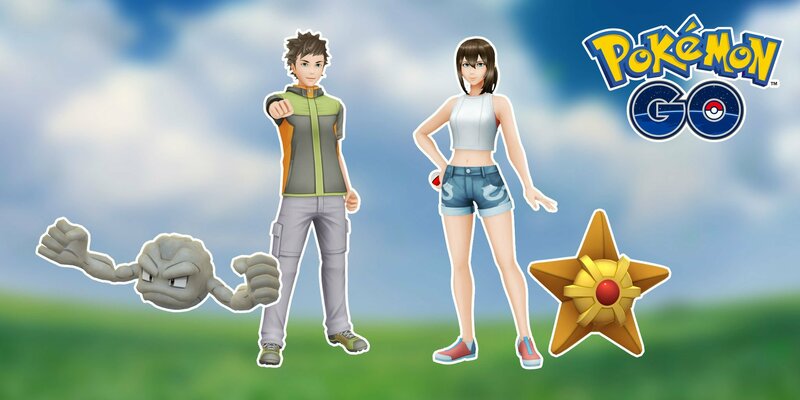 As of today new outfits are in tow (which are roughly 300 coins), clearly inspired by the likes of Brock and Misty from the Pokemon anime without actually coming out and saying it. It's a really strange in-between, this game. Sure you can have the full Pokemon designs and there was even a video with the Go-professor and Oak hanging out (kinda); but there's this unspoken understanding that Game Freak and Nintendo's works are separate. Why didn't they just say "Brock and Misty enter the world of Pokemon Go" instead of slyly hinting at it? Also where are Misty's suspenders?! Either way these are a thing now if you still play Go (which many people do worldwide, even if the US user base shrunk in the past few years).